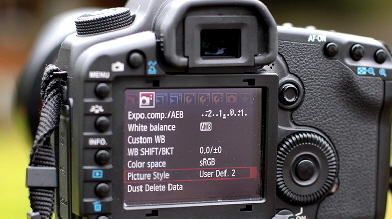 Phototestcenter Camera Club - What are the best settings for my digital SLR camera? Just bought your first digital SLR camera? This section is for you. Almost any digital SLR camera you can buy is capable of producing exhibition quality images. But how? Unfortunately just taking them out of the box set to program mode won’t do that, so where do you start? This section of Phototestcenter is for you. One of the best ways to learn is to join your local camera club, where you’ll find you’re not alone in wondering “what now?” But if you can’t do that, these pages are based on questions I get asked every week at my local camera club. Many people think that buying a new digital SLR camera is the answer to all that’s been missing from their photography so far, only to find that they now have more questions than ever. Like all forms of art or self expression, photography is a learning process, one that never has an ending. That’s why it’s fun. These pages I hope will help get you started on learning to use your wonderful new camera, and if the budget got a little overspent, so Photoshop is out of the question for now, don’t worry, there’s a new section on Free Photo Software which will help get the very best out of your images. No idea what it all means? Start here. Not sure what Aperture Priority means or why Program mode isn’t supplying the super sharp masterpieces you’d hoped for? for your digital SLR camera? Every year I teach in workshops on basic “get to know your camera” and for these I produce help sheets to get people started. They’re all here. I hope the help and information here will help get you going too. Most people assume that when they hand over the credit card and finally buy that amazing new digital SLR camera, that all of a sudden the quality of their pictures will jump a level or two - many people are then disappointed when their pictures look much the same as they did with their old compact camera. I’ve even met people whose pictures got worse. Don’t panic. We can fix that. To get better pictures right here, right now you need to help the camera along, and you do need a little knowledge of what’s going on. Just not the 120 pages worth in the camera instruction book. Not right away anyway. So don’t give up if results are disappointing to begin with. Photography has never been so much fun, or so cheap. What everyone seems to want when they get their new DSLR out of the box, is a quick, press that button and the pictures will be superb. The camera will do all the thinking, all you have to do is point and press. But hang on isn’t that what you’ve been doing with your compact camera, and how many masterpieces has that produced? Yes, you can set your DSLR to Program and fire away, but if you do that, all you’ll have is a bigger, more complicated compact camera. Almost any digital SLR camera on sale today is capable of exhibition quality results, if you know how to use it. Next Page : What do I set my camera to?